Oologah Lake blue catfish showed off this morning for a great group of guys this morning. 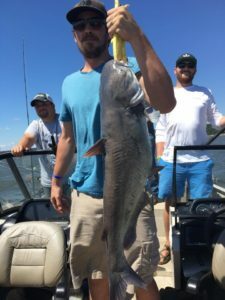 We started our first drift catching a dozen or so nice blue catfish getting everyone on the board except for Brett(the one that booked the trip). 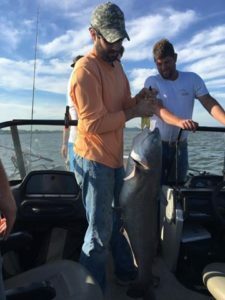 As we set up for the next drift over a house foundation, the guys talked Brett, who wanted to watch the others catch, into getting in the hot seat and getting the next fish. 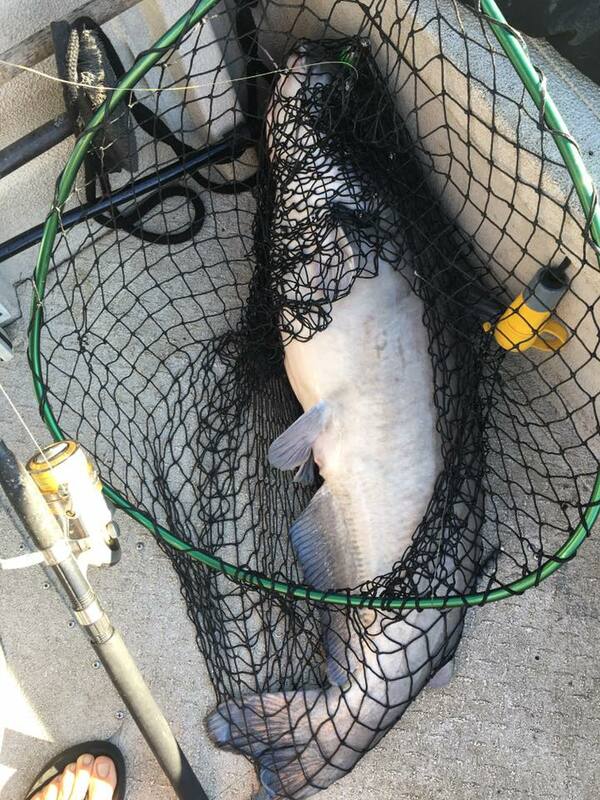 About a minute into the drift a big blue catfish slammed the rod down and the battle was on. 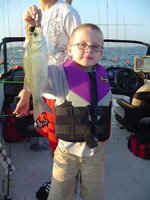 Several guys helped me get other rods out of the way and we got him in the net. High five and fist bump time! was another good fish. These guys caught blue catfish all morning long and we all had a great time. Nothing like having 8 comedians on a boat catching catfish!! !